I’ve been in the mist of doing some big remodeling to my home (currently completely re-modeling my kitchen at the moment) as well as finally getting my home furnished and decorated some what. After my kitchen is complete and my new flooring is put in, I’m moving onto the powder room. I’m completely gutting it and starting over. Ugh, I know, it’s somewhat stressful, to say the least. 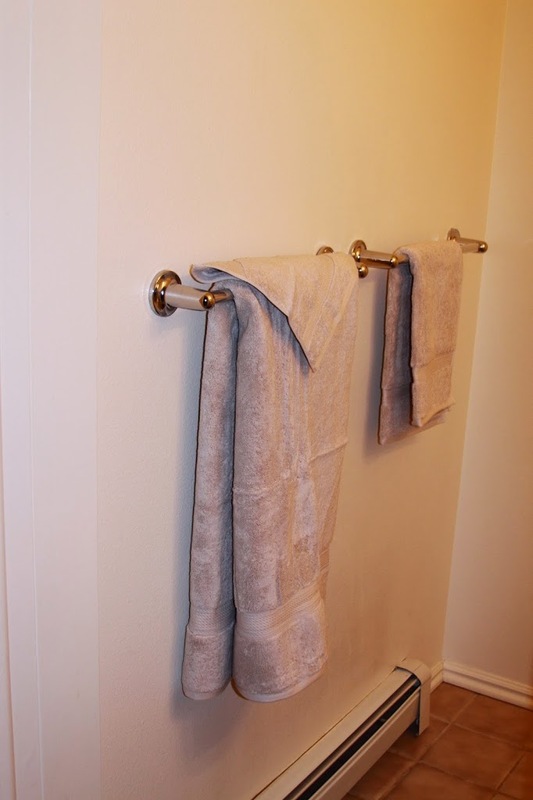 Once the bathroom is done, I will be in need of a great set of towels. 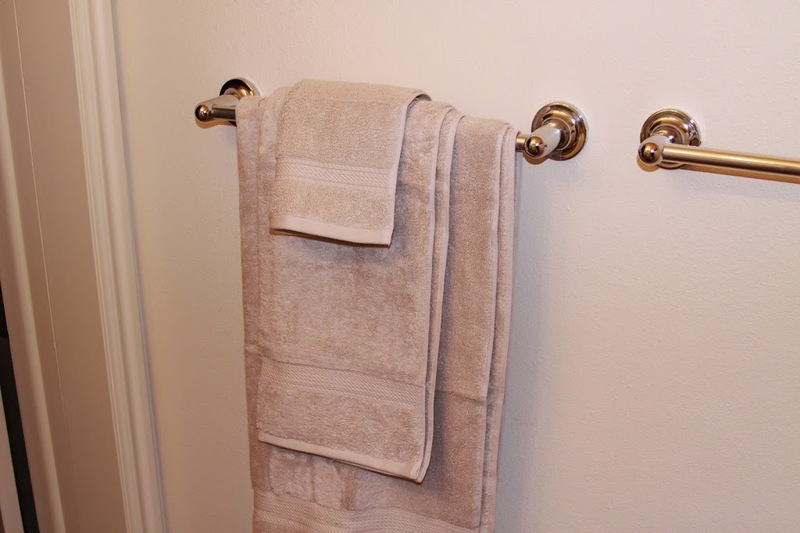 I thought I would be doing this very last, but I knew I wanted to keep my towels a neutral shade of beige and when I came across these luxurious Superior 100% Egyptian Cotton Towel 3 piece set, I had to have them right this second! 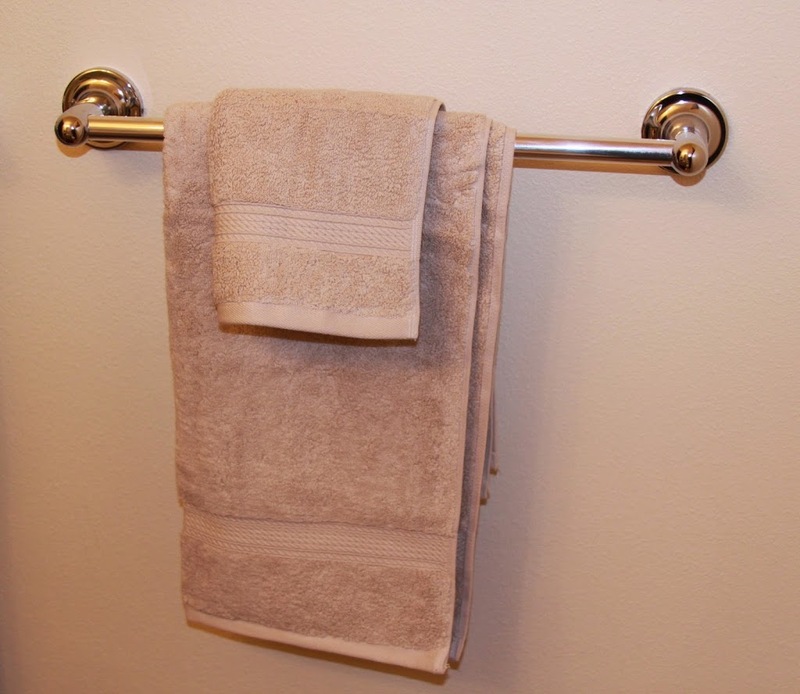 If you’ve ever bought cheap towels, you know they can be super hard and stiff, and at times, scratchy. Especially if you use the face towel when washing your face. I found out the hard way a few years ago that investing in nice, 100% egyptian cotton towels (and sheets too!) are totally the way to go, after getting lots of complaints about my horrible old towels from my new husband. 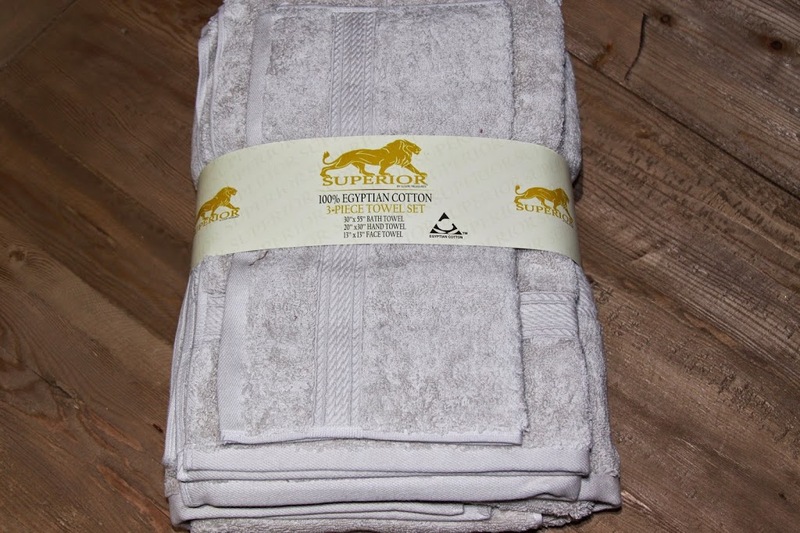 You obviously can expect to pay a small fortune for such luxurious towels, so when I saw that you could pick up this 100% Egyyptian Cotton 3 piece towel set from Superior on Amazon for only $49 (Regularly $135), I HAD to get them! When these towels arrived, I was beyond impressed. They are super soft and comfortable, and incredibly full and fluffy. I have bought dozens of towels in my life and I invested in a REALLY expensive set last year, and these towels completely rivaled the ridiculously expensive set, except they cost a lot less and are machine washable (My expensive set has to be hung to dry- and there goes the softness, not to mention ease of washing!) With these towels, I can wash and dry them and still get the super soft fluffiness out of them too, time and time again. If you haven’t ever tried a really nice set of towels, this is your chance to try out one of the best sets I’ve ever used, at a fraction of the price! You will be absolutely amazed with the feel and softness of these towels, and truly wonder how you’ve ever lived out them! I know I am! 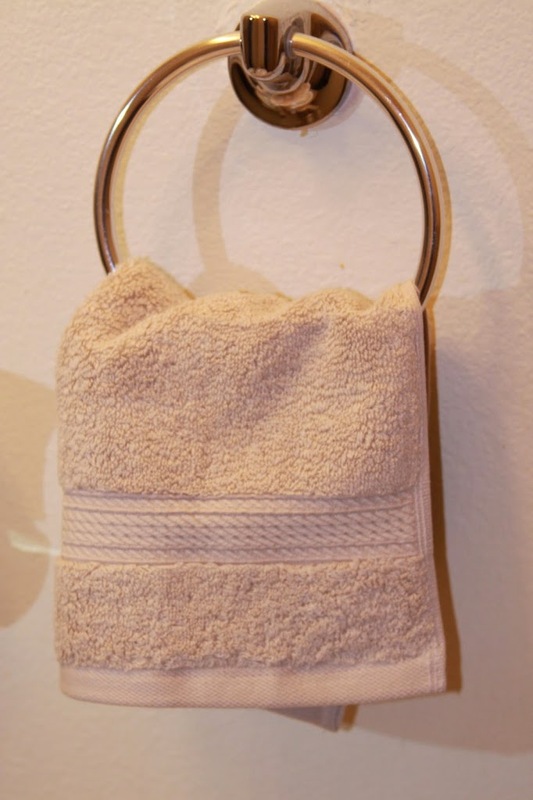 Ready to try this luxuriously soft, yet completely inexpensive towel set out for yourself? Shop them today on Amazon.com! there’s something about high quality towels that just make you feel so good! I love good quality, absorbent towels that don’t shed material. This reminds me we need some new towels for our bathroom too, those are pretty! I have holes and tears in so many of my towels! I need new ones badly. These look nice! I’ve been looking for some new towels because the ones I have are old and worn. These towels look great and comfy! The price is amazing, especially for Egyptian cotton! Whoo Hoot!!! I am heading over to Amazon. I have wanted them but thught better because of the price and I have 3 wild boys! What a great price. I own TURKISH 4-PC. TOWEL SET, ULTIMATE PLUSH 700+ GSM (WINE) from Amazon and they’re amazing. There’s nothing more comfy than egyptian cotton! I love these really soft, absorbent looking towels. My towels are hideous! I have cheap, see-through towels lol! Need new ones! These look like comfy towels! I love that they are Egyptian cotton!! $49 is still a little pricey for 1 towel, 1 hand towel, and 1 washcloth but hey seems like a good investment! Ohhh I love Egyptian cotton, it is heavenly!! the holders are gud too .. These towels look soft! There’s nothing better then getting out of the shower and being wrapped in 100% Egyptian cotton! These towels look so comfy! Egyptian cotton is always the way to go! They’re soft and they don’t get messed up in the washer like other towels! They look like nice towels. I could use a good set for myself. It’s really to be my wishlist! Very nice cotton recommendation. Thank you! I love Egyptian cotton!! These towels look comfy and soft! I used to have Egyptian cotton bed sheets but my mom stole them lol.